Oswego Hills Winery is available for use throughout the year for various wine events. Please contact our hospitality coordinators or the director of catering for more information regarding your needs. We look forward to working with you or your group. The facility is available for rental between the hours of 12:00 pm and 10:00 pm. Set up for events may not begin before 11:00 am the actual day of the event. All events must conclude at 10:00 pm, and an overtime fee of $350.00 per hour will be assessed if the premises are not vacated 11:00 pm. Overtime charges begin on the quarter hour. Live music or sound systems shall cease at 10:00 pm to comply with city noise ordinances and alcohol service shall stop 1 hour before the event conclusion. NO alcoholic beverages other than bottled beer, cider and Oswego Hills wines may be served on premises. The lessee may supply sparkling wine/Champagne from an outside source if arranged through the director of catering. All alcohol servers shall be licensed by, and comply with, OLCC rules and regulations. Should minors be found in possession of alcohol, all alcohol service will cease for the remainder of the event. Any additional alcoholic beverages that are brought on the premises will be confiscated. In the event that guests are seen consuming alcoholic beverages other than that which is agreed upon, we reserve the right to terminate your event. Non-alcoholic beverage service is encouraged, but is the responsibility of the caterer. A $1,000 to $2,000.00 security deposit fee shall be collected at the time of booking for weddings, corporate and specialty events hosted in the Oswego Hills Event Center or Winery. This deposit may also be credited towards the final bill provided there is no breakage or damage to the venue site. Breakage costs will be reviewed in the venue contract. Broken or missing Oswego Hills Winery glasses are subject to a $5.00 per glass replacement fee. Winery events with greater than 100 guests will be staffed by employees of Oswego Hills Winery preferred catering only. These individuals are responsible for obtaining OLCC licenses and Oregon Food Handlers’ permits. They are required to follow OLCC rules and regulations concerning alcohol service to any individual, and/or to terminate an event if such actions are deemed appropriate. The winery barrel room will accommodate up to 100 guests for a standing reception. The maximum for indoor banquet seating is 45. The Oswego Hills Event Center will accommodate up to 250 guests for a standing reception and 200 for indoor banquet seating. Outside events will accommodate up to 300+ guests with parking for 125 cars. Oswego Hills Winery will assume no responsibility for rain plans and specifically does not provide for refunds and/or “rain checks” in the event of inclement weather. Facility fees are negotiated on a per event basis depending on the date, time, location and size of the event. The winery barrel room, event center, outside grounds, or all may be utilized for an event. Please contact our hospitality coordinators to discuss pricing and availability. 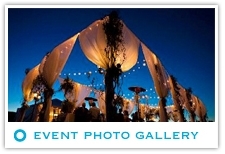 For weddings are large corporate functions, event center pricing is $4,000.00 to $5,000.00 for the venue. A $2,000.00 deposit plus a signed facility rental and catering agreement is required before a requested date can be reserved. The final balance of the facility rental fee is due 30 days prior to your event. In the event of a cancellation, the winery will retain the full deposit amount. Should the facility be re-booked, all deposits will be returned in full. Oswego Hills Winery reserves the right to refuse service or to terminate an event at any time. Oswego Hills will provide bottled beer, cider and wine along with a 4 hour bar service for $20 per person over the age of 21. Champagne or Sparkling Wine service may be arranged through the director of catering. Bartending is handled through the director of catering. Oswego Hills Winery has preferred service providers for event hosting and management. If you wish to use an additional provider, they must be approved and qualified by Oswego Hills Winery prior to signing an event contract. A liability insurance policy naming the holder as well as Oswego Hills Winery as an additional insured shall be presented at the start of the event. This policy shall be for the amount of $1 million dollars. The policy will be in effect from the beginning of the event until everyone has vacated the premises.